´Rotex´ (Birth Name, Rotimi omotayo-ojo) is a talented individual and artiste. Rotex was born and grew up in Nigeria. Rotex is signed under the G.R.A.B. Music Record label which houses top Nigerian Artiste Vector and is an all round musician and performer, he writes songs and sings vocals. Rotex is also the Creative Director at Imitor clothing co, His style of music is a fusion of Hiphop, Afrobeat, Reggae & soul. 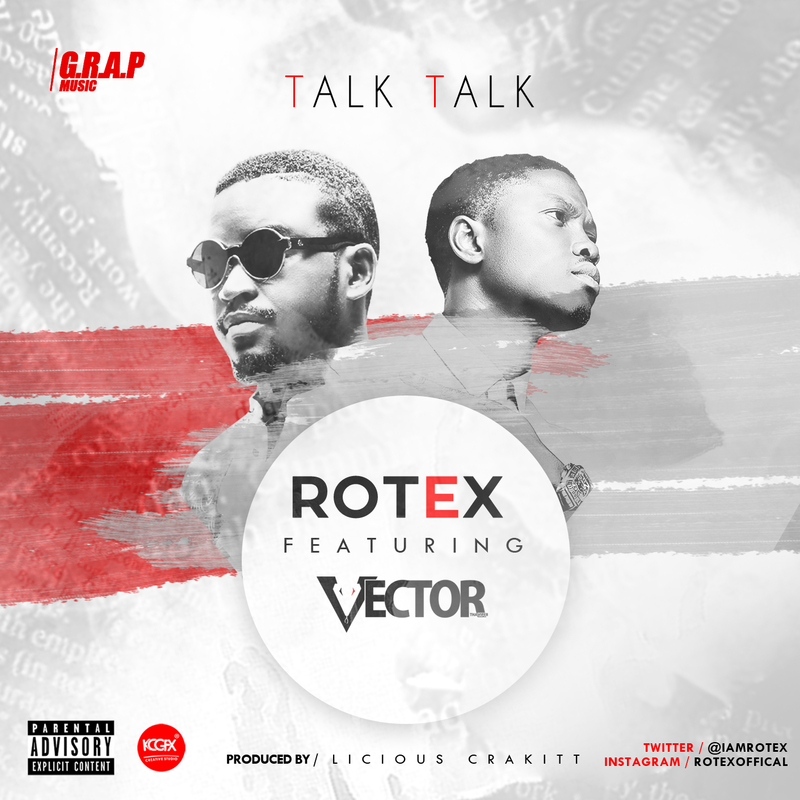 “Talk Talk” is a Nigerian mid tempo Rap song, which features top Nigerian Rapper “VECTOR”. Rotex is bringing fresh, conscious music, away from the regular mindless materials. His versatility means that surprises will spring up every now and then. Look forward to the music video for “Talk Talk” and more great and amazing things to come from this gifted artiste.